Quality, freshness and innovation — that is what you'll receive from Hardin's Gardens Greenhouse & Florist. We have established a reputation for quality wedding flower work and add unique style and perspective to weddings and events in the Brevard, NC area. With more than 30 years of experience, we're capable of producing extravagant and simple decorations based on your wants and needs. Owner Frank Hardin is proud to serve the Biltmore Estate area with stunning flower arrangements for weddings and special events. Having our flowers at your spring wedding at the Biltmore Estate is a must! 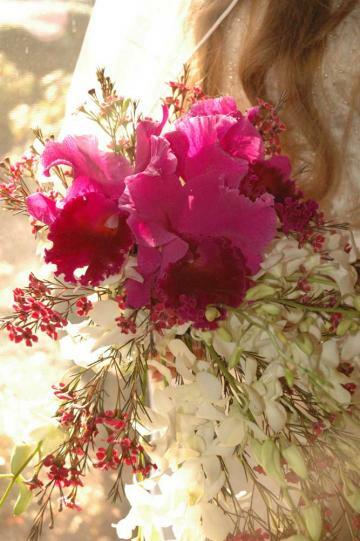 With our experience and craftsmanship, let us help bring your dream wedding or event flower arrangements to life! Your wedding day will create memories that will stay with you for life. What will people remember the most about your ceremony? How beautiful your flowers were. From the most intimate private party, the largest gala to a product launch, you host an event for a reason. Décor is what sets the tone and conveys that reason to your guests.